Matt ArtPix: UP TO UPMINSTER! 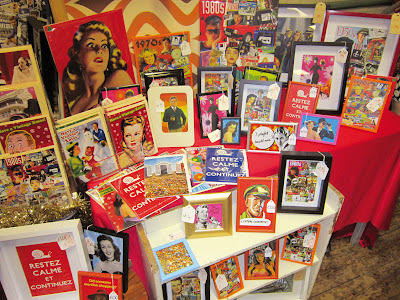 Had a fantastic time at the SILVER JAM TEA CLUB vintage market last Saturday. 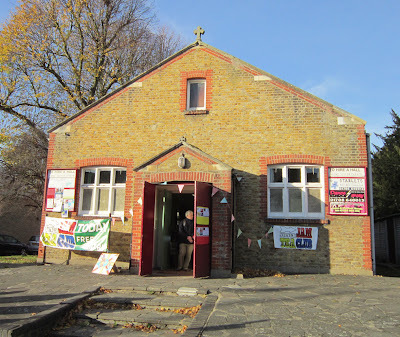 Held in the lovely St Laurence Church Hall in Upminster, we had glorious sunny weather all day! It was my first time there, so was great to be in a new venue and see lots of new traders. I again met some amazing people, all doing amazing things. There was brilliant music all day, a perfect soundtrack to accompany our vintage stalls. 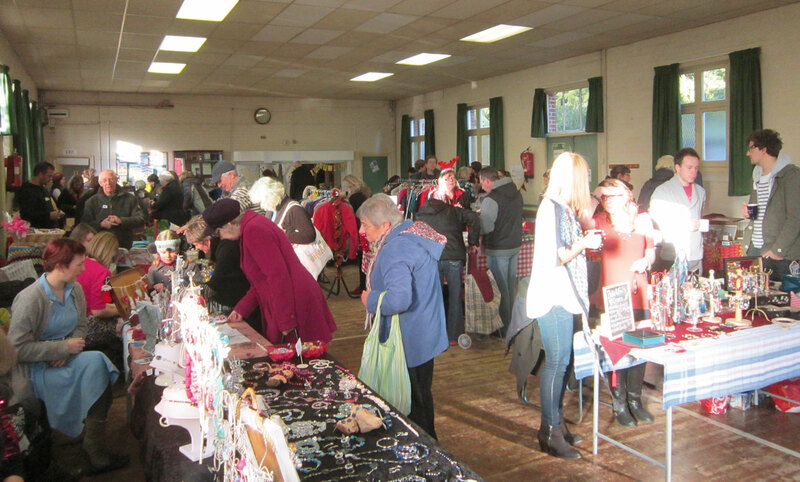 It created a really upbeat atmosphere and everyone seemed to be having a great day. Well I certainly was! I can't believe how popular my DAZZLING DECADES series was, I sold absolutely loads!!! Someone bought 4 to put on display in a school, which is really great. My little sideline of retro books, comics and records all did very well. My Elvis Christmas Album went, but I still have the Jim Reeves!! Big thank you to organiser Jessica Oliver, for inviting me down and being so cheerful all day! 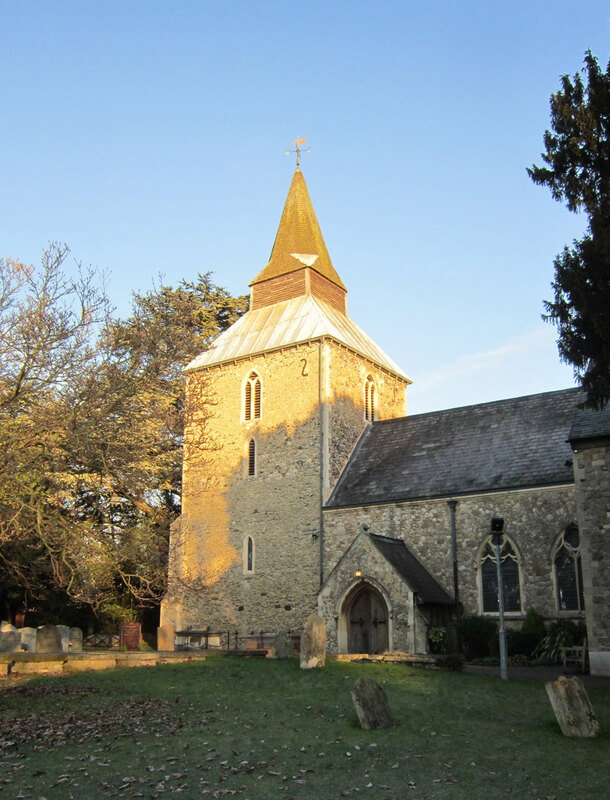 The lovely St Laurence Church, check out the blue sky! The church hall, as another satisfied customer leaves! 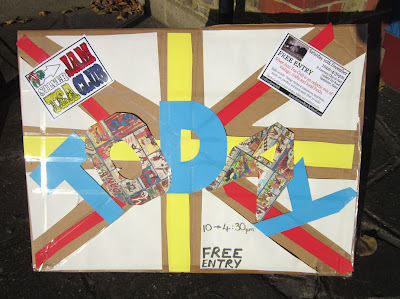 Silver Jam Tea Club's groovy homemade sign advertising the market! Already a lot of punters, happily shopping! 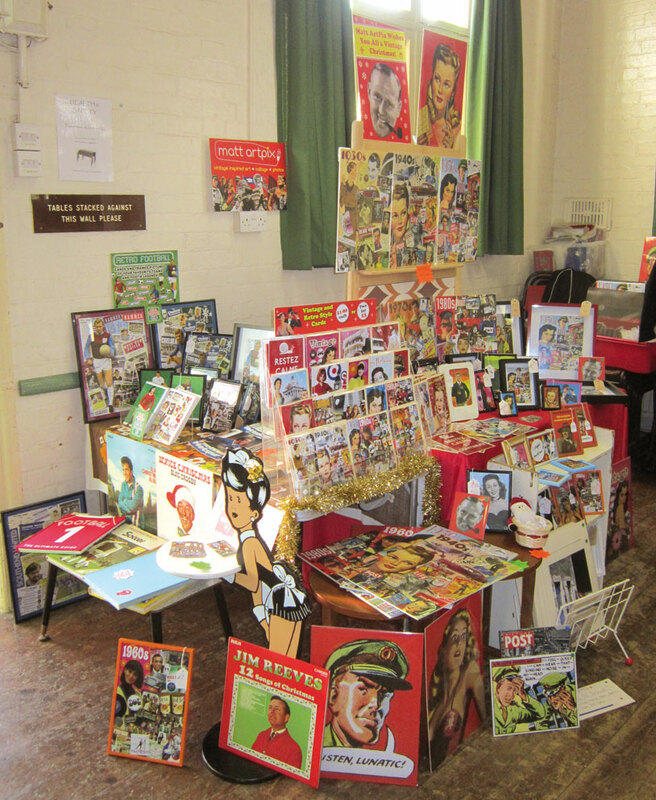 Here is the stall, note the Jim Reeves record is still for sale!! Close up of the goodies that were on offer! The last date of my DAZZLING DECEMBER is next Saturday at the Vintage Victory market in Shenfield. Stay tuned for more info this week!